Grand Rapids, MI: Eerdmans, 2015. 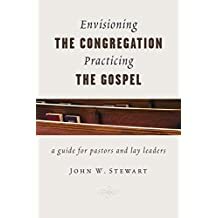 Stewart is particularly addressing a commonly noted malaise in the mainstream Protestant churches in the USA as they are confronted by falling numbers, aging membership, an exodus of young people, deteriorating facilities, and leaders who are “wearied from the paralyses brought on by endless divisive conflicts” (p.10). Such malaise is not unique to North America. Many churches and church leaders are aware of similar challenges facing congregations in Australia today. instrusive, potent cultural values of contemporary America have skewed Christianity’s classical beliefs and deconstructed the Church’s wisest and proven faith-forming practices (p.11). That sentence picks up on Stewart’s three main themes: First, the values of contemporary America (which are common to a large extent to the values of contemporary Australia) are contrary to the gospel. Second, the central challenge for the church is to recover the classical beliefs of Christianity expressed in the gospel. Third, recovery of the gospel calls for local congregations to pursue intentional actions that embody and enact the gospel. Stewart’s aim is to see congregations engage in the sort of practical actions that will promote the gospel as an engaging alternative to the surrounding culture. Of course, ‘gospel’, ‘church’, and ‘practice’ are all theologically loaded terms so having some idea of Stewart’s take on each may be useful to work out whether you’re interested in reading any further. Fortunately Stewart engages with each at length in chapter (the church), chapter 3 (the gospel), and chapter 4 (practices).